Written By: Quinn Walling. No illustrator. 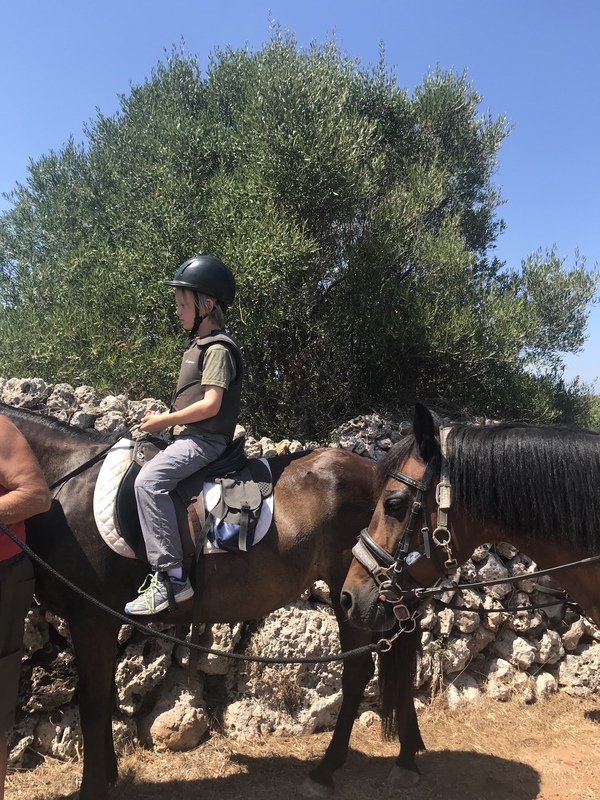 Yesterday we went Horseback-riding. It was fun. My horse’s name was Symphony. To get there we had to go in 2 taxis. (That is the rule in the ballearic islands.) So, Dad, Gherty, and Che went in 1, and Mom and I went in the other. Once Mom and I got there dad, Gherty, and Che were not there. (they should have been there because they left before us.) Eventually we were able to flag their taxi down and get them. Apparently, they ended up in the wrong place. So, we had an hour of Horseback-riding. It was fun. I was mostly in front with someone leading my horse always. Che and Gherty were also being led. On the way back, everyone but me had wild blackberries. (they were growing along the way.) so long story short it was great. We are signing up for Horseback-riding lessons.